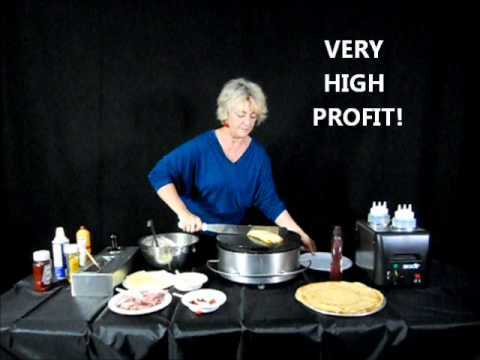 Home / Restaurant Equipment / Cooking Equipment / Specialty Cooking Equipment / Crepe Makers / Waring WSC160 Electric Crepe Maker, 16"
The Waring Commercial WCSC160 large cast-iron cooking surface makes for easy and delicious crepes and becomes nonstick once it is properly seasoned. The thermostat is adjustable up to 570°F, which is helpful in cooking all types of batters quickly and evenly. Features a heat-resistant carrying handle and includes a batter spreader and spatula. 120v/60/1-ph, 1800 watts, cord & plug, cULus, NSF. This product measures at 9 inches tall with a 22 inch diameter.